J. Rippon's <cite>Selection of Hymns</cite>, 1787, alt. Based on Isaiah 43: 1-5, this text was given the heading “Exceeding great and precious Promises. II Peter 3:4” in John Rippon's A Selection of Hymns (1787). The author was listed simply as "K" Although some scholars are not convinced of this attribution, "K" presumably refers to Richard Keen, song leader in the London church where Rippon was minister. With minor alterations, stanzas 1, 3-5, and 7 are included from the original seven stanzas. "How Firm a Foundation" is a noble text, full of comfort for God's people whose "foundation" of faith is rooted in the Word (st. 1) and whose lives experience divine protection when they face "deep waters" and "fiery trials" (st. 2-4). The final stanza clearly moves beyond the text's Old Testament source and proclaims the certainty of redemption in Christ. you are our shelter even when your whole creation is shaken and wickedness prevails. No one—helpless, orphaned, or oppressed—is beyond your reach and care. You have given us victory over sin and death in the rising of your Son. Let the surpassing joy of his resurrection conquer our present fear. John Karl Hirten has arranged a meditative setting for SATB, keyboard, and optional handbell (GIA G-3223). Emma Lou Diemer has arranged the hymn for SATB and congregation with organ and optional brass and percussion; the fourth stanza features a choral canon and the fifth verse includes a descant (Hinshaw HMC 527). John Rutter has written a setting for SATB choir with organ that lends itself well to concertato use for choir and congregation. This piece includes a descant and an excellent free harmonization for the final stanza (Hinshaw HMC 667). Margaret Cowen simply and efficiently arranged the tune for 4 octave handbells (Psaltery Music Publications M4-8, available through Jeffers Handbell Supply, Inc.). 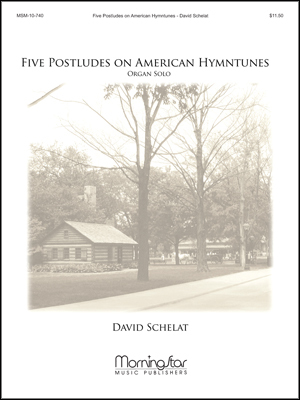 For the organist there are settings arranged by Wilbur Held (7 Settings of American Folk Hymns, Concordia 97-5308), Jack Goode (7 Communion Meditations, Flammer HF-5084), Jean Langlais (American Folk Hymn Settings for Organ, HT. Fitzsimons F0623), and Claude Murphree (Toccata on "How Firm a Foundation," Grey 813). This latter piece is currently out of print but is well worth trying to find. A baritone singing this hymn from the back of a sanctuary, accompanied by handbells (playing an open 5th "G" and "D" chord each measure) provides a simple and moving introduction for your congregation. In succeeding weeks, a bell anthem and choral anthems could be used. My favorite arrangement of this hymn is a "design your own" concertato for choir, congregation, handbells, trumpet (optional), and organ in which a combination of resources is used. The congregation and choir sings stanza 1 as it appears in the hymnal. Stanza 2 is sung in unison, accapella, with accompaniment by handbells free ringing a quarter-note pattern, using only the five notes of the melody, in any octave range. The choir sings stanza 3 in a 2-part canon, men beginning, women following one measure later. The choir sings stanza 4 in a 4-part canon—basses, sopranos, tenors, and altos each entering after one measure. Both of these stanzas (3 and 4) have a canonically arranged organ accompaniment available in Donald Busarow's All Praise to You, Eternal God (Augsburg 11-9076). Following a brief organ interlude which includes a modulation (see example given), the congregation joins the choir in unison on stanza 5. John Rutter's free harmonization and descant (played by trumpet) taken from the final stanza of his hymn-anthem provides a stirring accompaniment. Each stanza musically builds on the previous one in terms of intensity, reaching a climax in the powerful exclamation of the final stanza. It provides a strong congregational response in a Reformation Festival Service. Based on Isaiah 43: 1-5, this text was given the heading "Exceeding Great and Precious Promises. II Peter 3:4" in John Rippon's A Selection of Hymns (1787). The author was listed simply as "K" Although some scholars are not convinced of this attribution, "K" presumably refers to Richard Keen, song leader in the London church where Rippon was minister. With minor alterations, stanzas 1, 3-5, and 7 are included from the original seven stanzas. The anonymous tune FOUNDATION first appeared in Joseph Funk's A Compilation of Genuine Church Music (1832) as a setting for this text (there it was called PROTECTION). 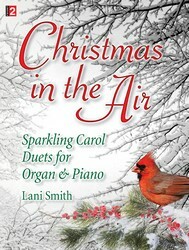 The tune was also published with the text in Southern Harmony and Sacred Harp. The harmonization is by Dale Grotenhuis. There are several options for singing: congregation throughout, soloists on the middle stanzas, or in canon. Like many folk tunes, FOUNDATION is pentatonic and should be sung with vigor. It can be sung either in two-part canon (two measures apart) or in four parts (one measure apart). Try having the choir's men and women sing in canon on the inner stanzas, perhaps following a soloist. For the final stanza, try dividing the entire congregation into four groups for a stirring conclusion. When singing in canon, sing unaccompanied or use the Busarow settings for canon in All Praise to You, Eternal God (Augsburg, 1980), do not use the hymnal accompaniment. A Baptist minister, John Rippon (b. Tiverton, Devonshire, England, 1751; d. London, England, 1836) was called to the Baptist Church in Carter Lane, London, in 1772 as an interim pastor. After becoming head pastor, he stayed in that position for sixty-three years. He also edited the Baptist Annual Register (1790-1802). His main contribution to hymnody was his compiling of A Selection of Hymns from the Best Authors, Intended As an Appendix to Dr. Watts' Psalms and Hymns (1787) and A Selection of Psalm and Hymn Tunes (1791). These publications became popular in both England and America. However, later hymnologists have often been frustrated by Rippon's work because he frequently did not indicate the authors of the hymns and often altered the texts without acknowledging his changes. The ancestors of Joseph Funk (b. Lancaster County, PA, 1778; d. Mountain Valley, a.k.a. Singers Glen, VA, 1862) were German Mennonites who had settled in eastern Pennsylvania. Around 1780 the Funk family moved to the Shenandoah Valley close to Harrisonburg, Virginia. Funk became a farmer and a teacher in a schoolhouse on his property. An itinerant singing-school teacher and music publisher, he also issued the monthly music journal Southern Musical Advocate and Singer's Friend before the Civil War (the journal was continued later by his sons). Funk published Choral-Music (1816) and A Compilation of Genuine Church Music (1832). The revised twenty-fourth edition (1980) is still in use by Mennonites in the Shenandoah Valley today. Funk's life was the focus of Alice Parker's opera "Singers Glen" (1978). Dale Grotenhuis (b. Cedar Grove, WI, 1931; d. Jenison, Mi, August 17, 2012) was a member of the 1987 Psalter Hymnal 1987 Revision Committee, and was professor of music and director of choral music at Dordt College, Sioux Center, Iowa, from 1960 until he retired in 1994 to concentrate on composition. Educated at Calvin College; Michigan State University, Lansing; and Ohio State University, Columbus; he combined teaching with composition throughout his career and was a widely published composer of choral music. He also directed the Dordt choir in a large number of recordings, including many psalm arrangements found in the 1959 edition of the Psalter Hymnal. 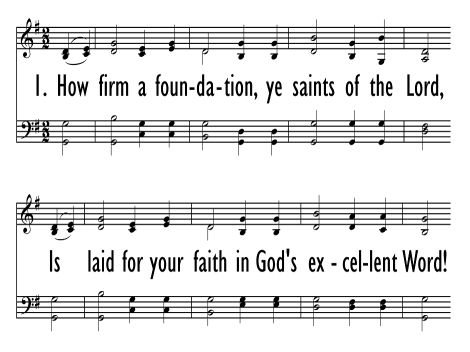 "How Firm a Foundation" is a hymn that for over two centuries has assured believers of the faithfulness of Christ and the certainty of hope. The first verse acts almost as an introduction to the rest of the text, giving us cause to stop and ponder the word of assurance that God has given us, described in greater detail in the next four verses. Those four verses are in fact paraphrases of Scripture passages: Isaiah 41:10, 43:2, Romans 8:3-39, Hebrews 13:5, and Deuteronomy 31:6. In the words of this hymn then, we carry with us the Word from God, and the call to trust in that Word. But God’s Word is expansive and not limited to letters on a page—the fifth verse moves us to a trust in the Word made flesh in Jesus Christ. Thus we are assured by the words we sing, the Word we are given, and the Word made flesh, of the steadfastness of God and His unfailing love.